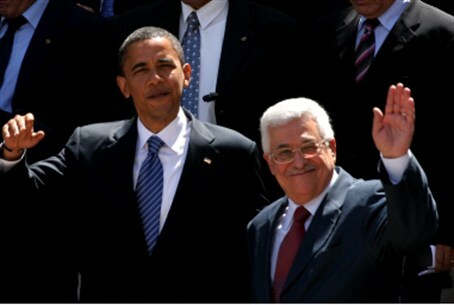 U.S. President Barack Obama could skip Ramallah during his upcoming visit to the region, PA source claims. U.S. President Barack Obama could skip Ramallah during his upcoming visit to the region, a Palestinian Authority source told the Bethlehem-based Ma’an news agency on Wednesday. Obama will meet PA Chairman Mahmoud Abbas in Bethlehem and will spend only four hours in the PA-assigned areas of Judea and Samaria during the trip, said the official who spoke on condition of anonymity. Those four hours will include his planned visit to the Church of the Nativity, the official indicated. The report was not verified by an official U.S. source. Washington has not yet released a schedule for the trip, but Obama is expected to arrive in Israel on March 20 for his first trip to the region as president. An updated schedule for Obama's visit to Israel, released on Monday, had indicated that he will visit PA-controlled areas twice but not visit an Iron Dome installation in the field, as had been planned. The Iron Dome visit had been set for Friday morning. A schedule released by the White House last week had Obama visiting an Iron Dome installation, where he would receive an in-depth explanation on the technology and how it was used in the recent Pillar of Defense operation to deflect rockets fired at Israeli population centers by Gaza Arab terrorists. The new schedule, however, had Obama visiting Bethlehem during the same period that he was to be visiting the Iron Dome installation. Instead of being taken to see an Iron Dome installation, sources in the Prime Minister's Office said, Obama will be shown one after he lands at Ben Gurion Airport on Wednesday.